were not present and they would not be caught. 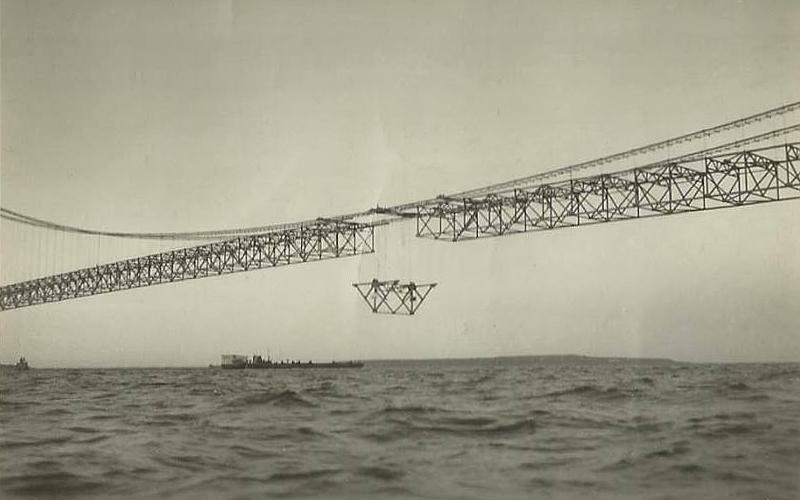 Hundreds of visitors watched and photographed the Mackinac Bridge construction each day. 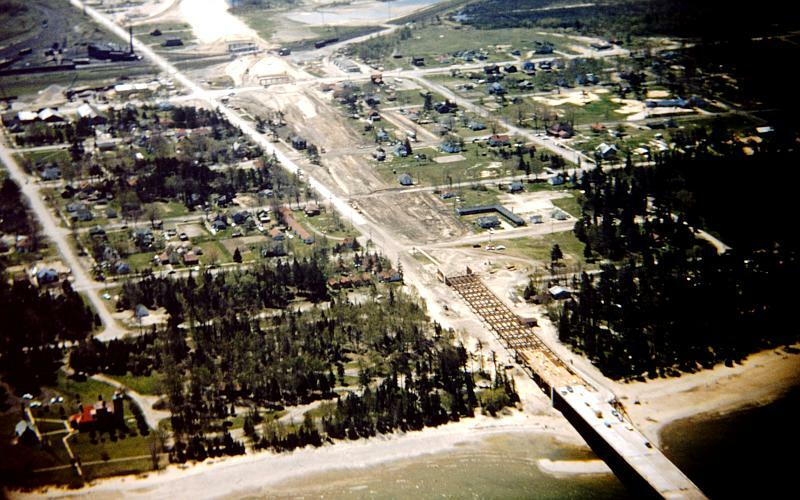 Construction of the Mackinac Bridge approach where the Fort Michilimackinac parking lot is today. 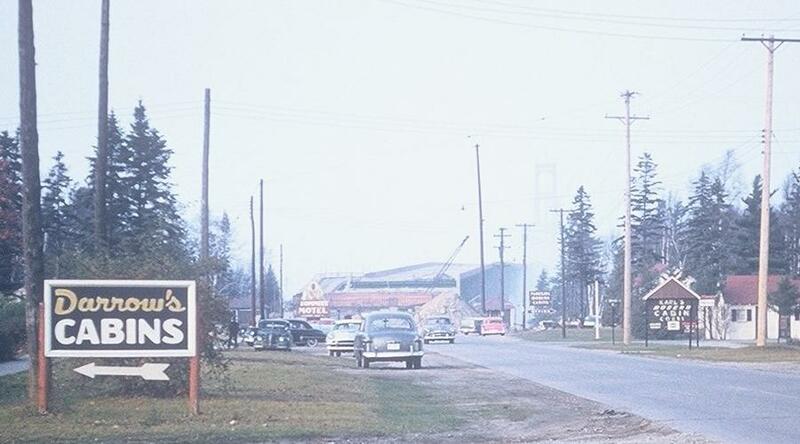 My Grandparent's home was up this street on the left and was moved to make way for the south Mackinac Bridge approach. lower left and the Michigan Central Railroad roundhouse with the tall smokestack at the upper left. 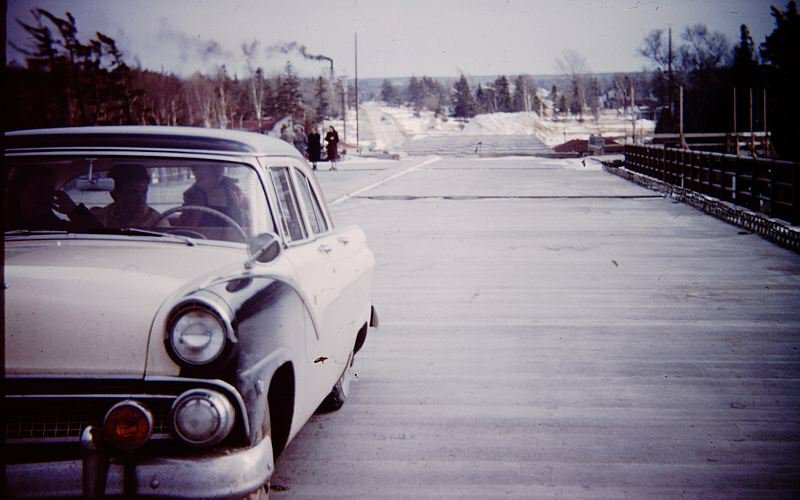 on the roadway of the uncompleted bridge in the car in the foreground. 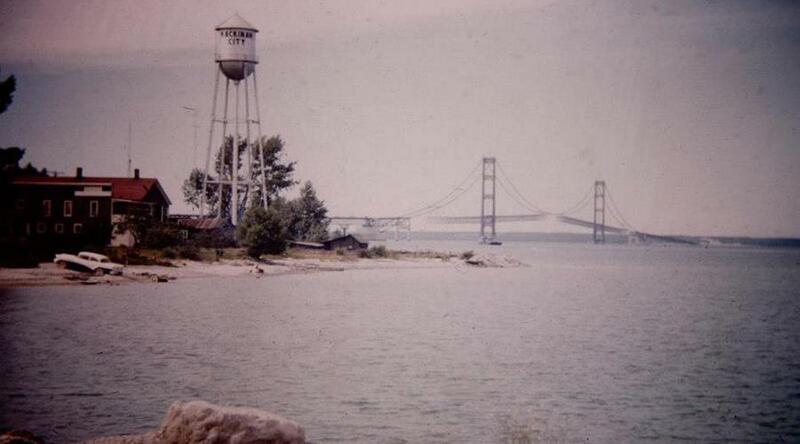 This photo was taken from the dock used by Shepler's Mackinac Island Ferry. That was the Windermere Hotel at the far left. the bridge and rented a tug to American Bridge Company. Photo courtesy of Jim Saunders. 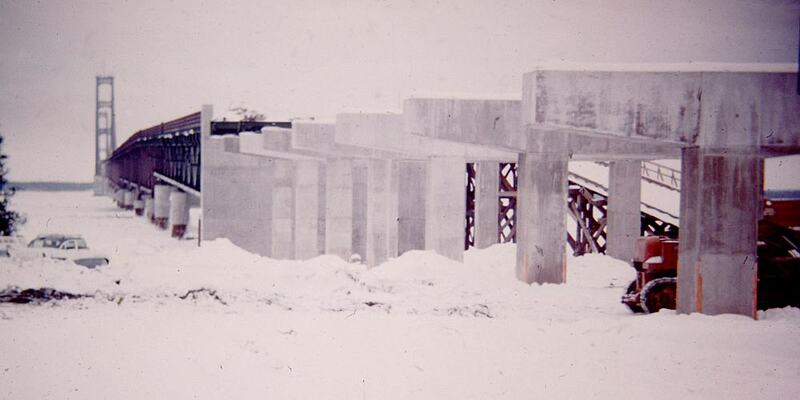 The Mackinac Bridge roadway is complete. 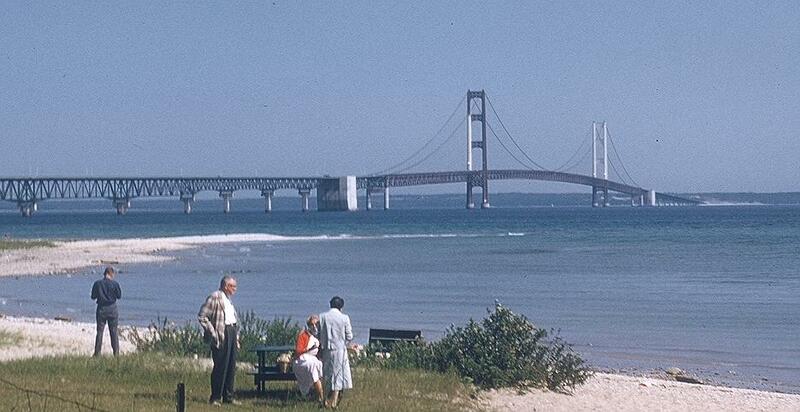 The Mackinac Bridge looks complete in late 1957, but the auto ferries are still running, so it has not opened. This ferry is either the City of Munising or the City of Petoskey. 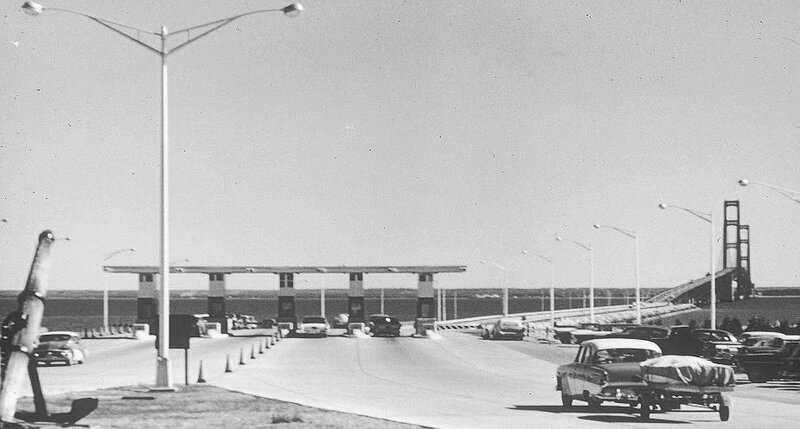 They could each haul 105 cars. 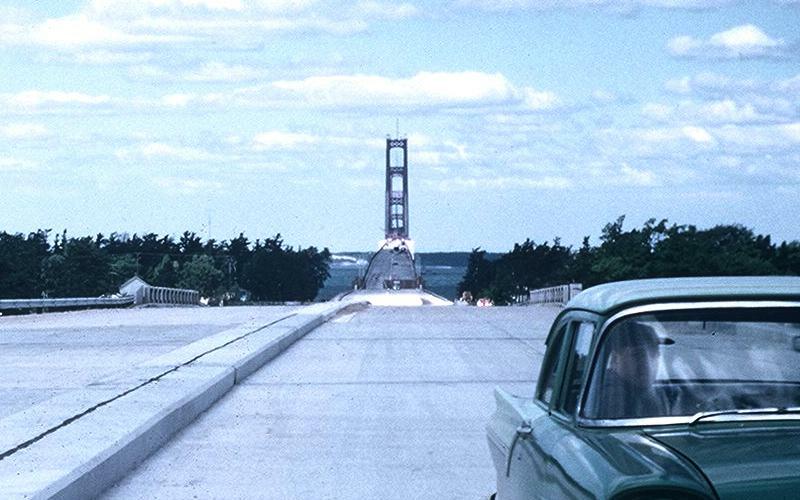 Painting the towers in June 1958 near the completion of the final construction of the Mackinac Bridge. 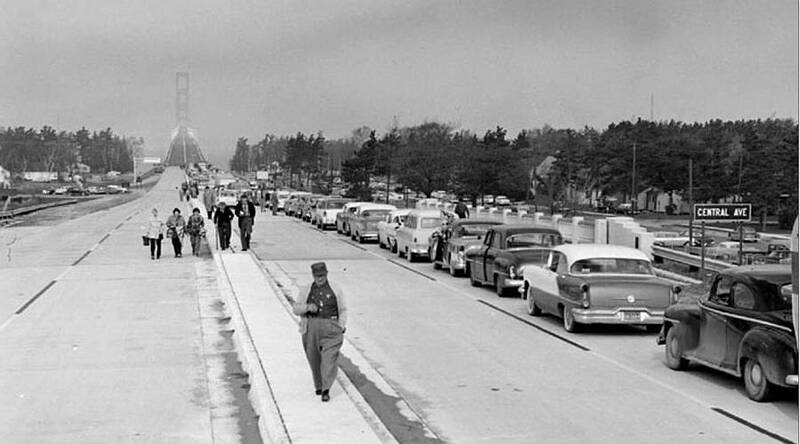 There is no official day for when the Mighty Mac was complete, as constriction transitioned into maintenance. 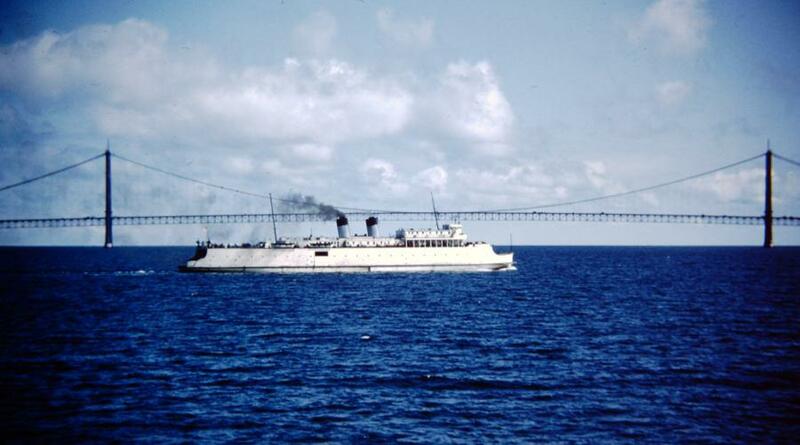 was built in 1941 as part of an earlier attempt to bridge the Straits of Mackinac and link Michigan's Upper Peninsula and Lower Peninsula..
but it has slowly crawled up to $4 in 2013. Copyright 1954 - 2017 by Keith Stokes. These photos may not be reproduced without written permission. .